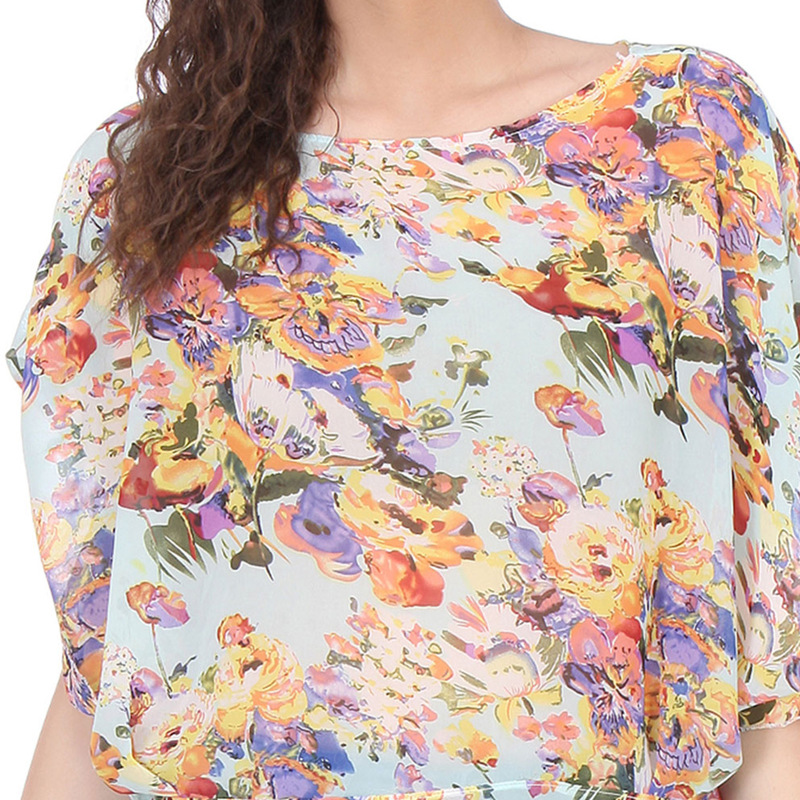 Colourful floral print arrive in the form of this multicoloured print top , to give your attention-grabbing style a fresh. 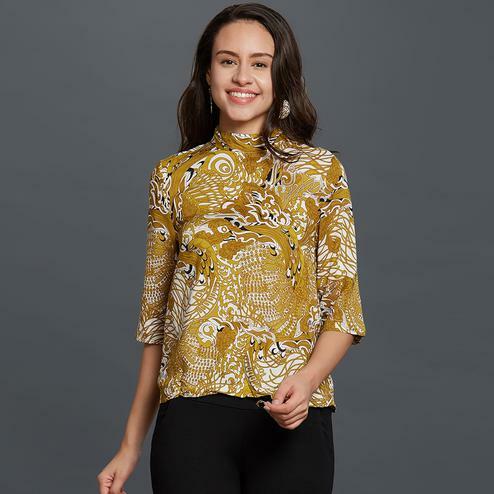 Made with Chiffon, Its Scoop neckline with all over multi colored floral print, three-quarter sleeves, knitting hem and relaxed silhouette also make fashion-forward women fall in love with it. 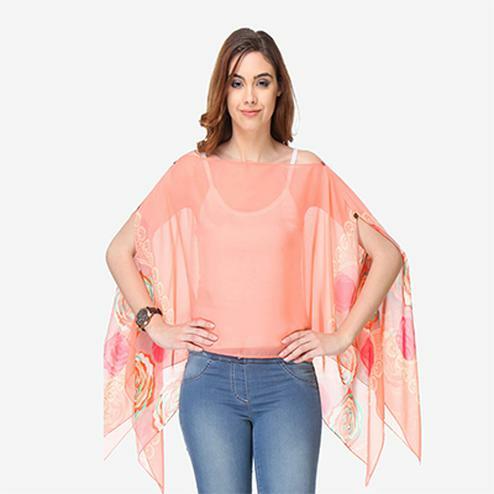 Flaunt it with trendy shorts.